Awnings and Patio Covers are roof structures that overhang outdoor living spaces and can be attached to the exterior wall or fascia of your home. Aluminum covers are frequently used in residential buildings throughout the world. They are available in many colors, including White, Adobe, Sandtone, and Ivory and are typically painted with a baked-on enamel paint. Among the many benefits of these awnings, are cooler temperatures inside the home, shade for your patio, and extending the life of furniture and window treatments. Protection from the sun, rain, and snow. 20 degrees cooler under direct sunlight. Usable life of over 40 years. 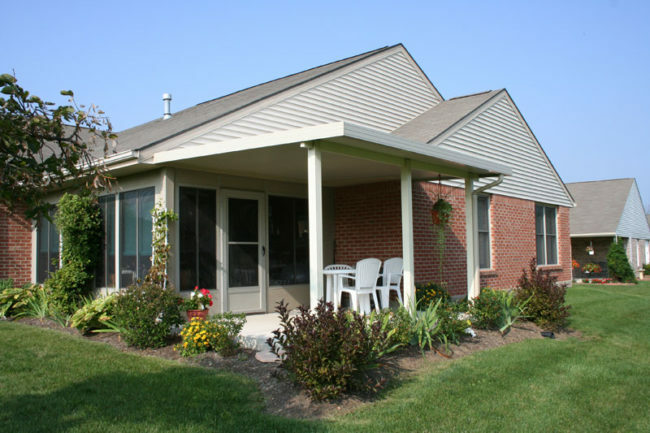 Dayton Home Improvement Center is the highest rated and most rated awning and patio cover installer in Dayton, Ohio and the surrounding areas. This includes Oakwood, Kettering, Centerville, Beavercreek, Fairborn, Xenia, Springboro, Franklin, and West Carrolton. Customers gave Dayton Home Improvement the highest possible rating more times than any other home improvement contractor in the area. We have an A+ Better Business Bureau rating, and 70% of our business comes from referrals and repeat customers. Our customers love that the installation is covered by a lifetime warranty. The most 5 star google reviews. 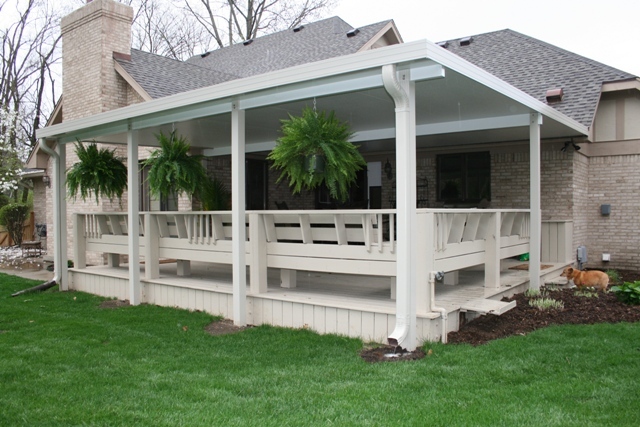 Put the finishing touch on your summer picnic area with a cost-effective, Earth-friendly patio cover from Dayton Home Improvement. Screen rooms and patio enclosures allow year-round enjoyment of the outdoors without the hassle of extreme conditions. They are the perfect place to entertain or just get away and relax. 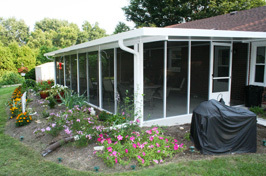 Our patio enclosures are well insulated and are installed by the finest craftsmen available. The superior insulation provided by the Earth-friendly design ensures easy temperature control and a minimal increase to your household energy consumption. Bring the outdoors inside, and learn more about Mike Sikora’s patio rooms today.